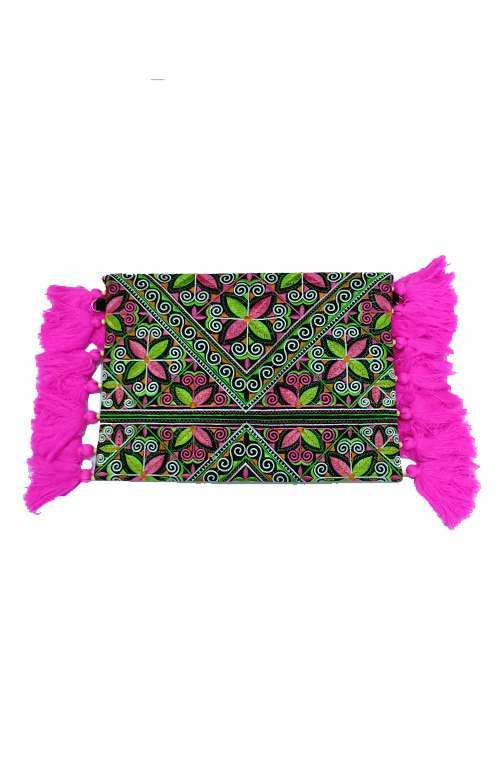 This beautiful boho clutch bag is handmade with love in Northern Thailand. 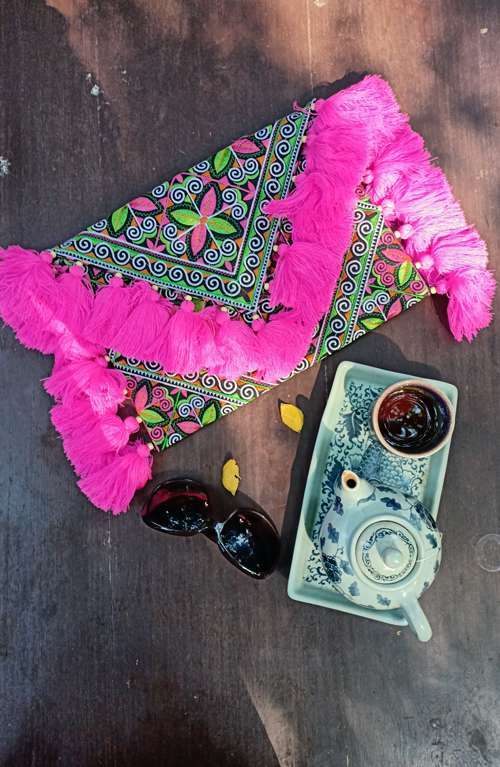 This new offbeat design boho bag is made with a beautiful textile which is a beautiful spiral pattern, then we have added pink tassels to give it that boho look. 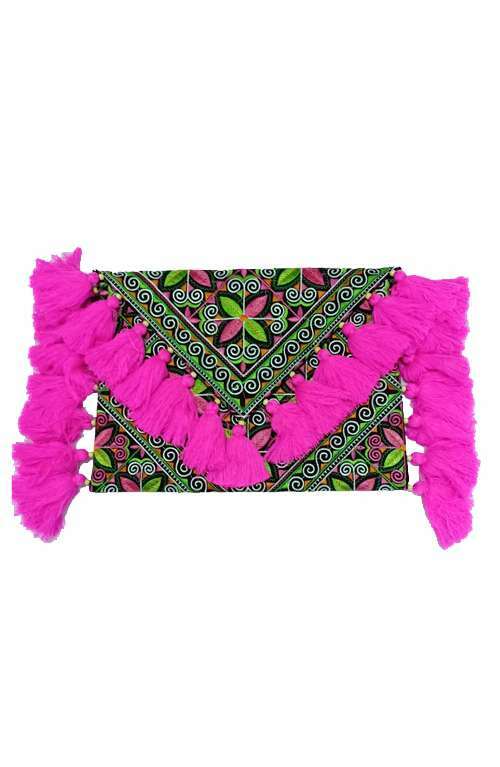 The boho purse is a great bag weddings and date nights. It features a removable strap to be used as a cross body bag.